This blog will be pretty quiet next week, and most likely the week after as well (though you might see a post or two from the MLA convention in Philadelphia). Speaking of MLA — you can visit the University of Minnesota Press at booths B612 and B614. We'll be offering a 30% discount on all of our books, as well as a very special offer for the movie tie-in edition of Christopher Isherwood's A Single Man — only $5! (discount available to conference attendees only.) For a list of featured titles for this convention, as well as a full list of books for which we will be displaying advance proofs, click here. Have a happy and safe holiday, everyone. See you next year! Certainly when Wagner first proposed it, he was not talking about architecture per se. He was talking about the sister arts, as he put it, and those were poetry, music, and dance. ... Wagner argued that in bringing the arts together he was actually freeing them to become, as he put it, "more purely themselves," so that what we understand now (this term is thrown around all the time), it's usually understood to mean a vast muddle, a complete mixing, a kind of phantasmagoria in which all individual elements are lost. In fact, that's not Wagner's original understanding. He was arguing for a kind of central purity of each individual element that would become more refined in the process of combining with other art forms. You can catch Koss's interview below or listen to the full radio show by clicking here (Koss's interview with architectural historian Wallis Miller begins at 40:37). Yesterday, the Hollywood Foreign Press Association announced that the film A Single Man is up for three Golden Globe awards: Best Actor (Colin Firth), Best Supporting Actress (Julianne Moore), and Best Score (Abel Korzeniowski). The awards will be televised on January 17th, and we can't wait to see what the stars will be wearing to celebrate this Tom Ford-directed film. -A Single Man is among AFI's Movies of the Year. -The latest Oscar buzz for Colin Firth / USA Today. -Tom Ford has a great interview (and reveals the input he received from Christopher Isherwood's partner Don Bachardy for the film) on NPR's Fresh Air. -Colin Firth's reaction to Golden Globe nomination. 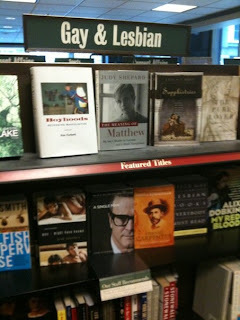 -L.A. Weekly article A Visible Man provides nice context for the book and the film. Poster image by The Weinstein Company. Vote 'Never Trust a Thin Cook'! Eric Dregni's Never Trust a Thin Cook and Other Lessons from Italy's Culinary Capital has been selected by The Book Design Review as one of its favorite book covers of 2009 (follow the link to vote for your favorite). Also on the list: Haruki Murakami's What I Talk About When I Talk About Running; Alison Forner's The Interrogative Mood: A Novel? ; and Paul Auster's Invisible. The Never Trust a Thin Cook cover design is by Mind Spark Creative of Minneapolis, and the cover photograph is by Jim V. Davis. Like what you see? Then check out our short Never Trust a Thin Cook book video, which features photos by Marina Leonardi and by Dregni. Great news: Matthew Biro's The Dada Cyborg: Visions of the New Human in Weimar Berlin, has been named one of four finalists for the College Art Association's Charles Rufus Morey Book Award, which honors an especially distinguished book in the history of art. On a related note: Next month we will be mailing UMP's Art & Aesthetics catalog, which features our newest art history, visual culture, theory and related titles and will be on display at the College Art Association meeting in February 2010. If you would like to receive a copy, sign up here by Jan. 4th, 2010. 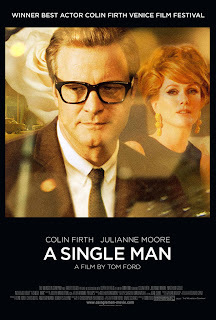 The film A Single Man opens in limited release today. "Tom Ford has created a gay man troubled by ordinary grief and haunted by joy, a man apart and yet like any other." New York Times movie review. "We're always looking for those performances that truly define an actor, where we can sit back and simply watch the talent soar. For Colin Firth, A Single Man is that film." L.A. Times movie review. "A careful examination of love, loss and mourning." Toronto Star. "A Single Man deserves recognition for being about something real that usually goes unexplored: The grief from which there really can be no return." San Francisco Chronicle. "Unusually beautiful." New York Daily News review, 4/5 stars. Last week, however, Dubai made news after Nakheel’s parent company, Dubai World, announced it was seeking to restructure $26 billion of debt, including a $3.5 billion Islamic bond that is due for repayment on December 14th. While this crisis has sparked a new round of concern about Dubai’s future, it has not been the first sign of trouble. Over the summer, construction ground to a halt and an indeterminable number of Dubai’s foreign residents (who make up 90% of its population) have fled. Some reportedly abandoned their luxury automobiles, bought with loans they could no longer pay back, at the airport. As we wait to hear the results of closed-door negotiations between Dubai World and its now-very-nervous creditors, the future of Dubai remains uncertain. In the meantime, to gain some perspective on the on the situation, we checked in with author Waleed Hazbun. A professor of international political economy at Johns Hopkins University, last year he published Beaches, Ruins, Resorts: The Politics of Tourism in the Arab World, which includes a chapter on the emergence of Dubai as a travel and tourism hub. As some reviewers have noted, Beaches, Ruins, Resorts did not attempt to foreshadow the current economic crisis. What it does provide is a framework for understanding the underlying political economy of Dubai. In short, I argue that the ‘Dubai model’ and the emirate’s external image are based on continually re-inventing itself and its urban form, refracting global trends in architecture, real estate, leisure, and capitalist development. The island projects, which literally remodeled the shape of the emirate, exemplify this process. In contrast to those like Thomas Friedman, I show how this flexibility is not a product of embracing free markets and liberal capitalism but is sustained by a system of authoritarian control over space and flows. Here, I follow cultural anthropologist Ahmed Kanna, who refers to Dubai’s jagged edges. In Dubai territory is almost exclusively owned by the ruling family and managed by the government and state-owned entities allowing the government to partition the emirate into separate zones with their own rules and incentives for different private sector activities and social groups. In this system, the social and economic dislocations caused by the emirates need to adjust to global markets is born not by the citizens or government but rather by foreign capital, foreign firms, and foreign labor--all of which are treated as expendable. Thus for Dubai in the future to realize its self-defined goal of being a ‘global icon’ and model for other cities in the Arab region and beyond, it will have to again attract massive flows of capital and people. It will need to project yet another round of startling images of ambitious projects like the soon-to-be-completed Burj Dubai, the world’s tallest building. With its solid infrastructure, efficient bureaucracy, political stability, pools of talent, and location within an unstable region still afloat in petrodollars, this seems possible, but increasingly less likely to match Dubai’s script. 1. Spectacle of decline: The real estate crisis leads to a crash-and-burn. Expats and investment flee. A city of financial ruin, half built buildings, broken dreams, and ecological disaster. 2. A monument to the moment: Unable to re-invent itself with new projects, Dubai’s urban form remains frozen in its present, quickly dated form. A slowly decaying reminder of an experimental vision of the future that never came. 3. Nationalist retrenchment: The citizens of Dubai and the other emirates rein in the excesses of Dubai’s leaders and expat communities, bringing Dubai more in line with the socially and financially conservative neighbors and more under the thumb of the UAE’s oil-rich political capital Abu Dhabi. 4. Boutique “neo-liberal” city for the global elite: Unable to sustain its middle class residents and tourists, Dubai becomes an exclusive luxury holiday and second home location for a narrow slice of the global jet-set. Governed by merciless neoliberal economic policies and a stark separation between the super-rich and its exploited labor force, Dubai comes to better resemble the ‘evil paradise’ depicted by radical geographer Mike Davis and the world of Michael Winterbottom’s film Code 46 (partially filmed in Dubai). 5. A cosmopolitan metropolis: It is possible the downturn will refocus Dubai around its diverse, cosmopolitan community of residents and professionals of all class backgrounds. If the regime gave them more of a stake in the place and opened up public spaces for fostering community, creativity, and a sense of place, Dubai might evolve into a cosmopolitan metropolis. Architect Rem Koolhaas has sought to promote aspects of this vision in his design for the Dubai Waterfront that would give Dubai an area with Manhattan-like density and spaces for street-level activity (see a recent New York Times article on his vision). For those in New York City this weekend, Waleed Hazbun will be participating in a debate exploring questions relating to future of the urban form in Dubai and elsewhere. The panel, “Short-stay / Long-stay: City Planning and City Marketing” will take place December 12, 2009, between 3pm and 5pm at Studio X, located at 180 Varick Street. This panel is the forth in a global series organized in preparation of the publication of Al Manakh 2, a survey of new urban developments unfolding in the Gulf region, produced by Netherlands Architecture Institute (NAi) and Office for Metropolitan Architecture (OMA) with Rem Koolhaas, Archis Foundation and Pinktank. Also: In 2011 the University of Minnesota Press plans to publish what promises to be a path-breaking work by cultural anthropologist Ahmed Kanna, who has conducted extensive ethnographic fieldwork in Dubai and writes about its architectures of the past and future. Today is the first day of Ixel Moda 2009, the second Latin American Congress on fashion, an event in Cartagena, Colombia, that seemingly aims to take the field of fashion studies to a whole new level. The event features fashion shows, table discussions, and is one that "combines the creative and academic sectors," according to El Tiempo (Colombia). This year, the event has lined up an array of special guest speakers, including Sass Brown from the Fashion Institute of Technology and Regina Root, editor of the Latin American Fashion Reader and author of Couture and Consensus: Fashion and Politics in Postcolonial Argentina, forthcoming in May from University of Minnesota Press. For more information about the event, visit ixelmoda.com. Get ready for an A Single Man frenzy this week! Tonight, director Tom Ford will appear on Late Night with Jimmy Fallon on NBC, 11:35 pm CST. Tomorrow morning, Ford will appear on The Martha Stewart Show (10 a.m. CST on NBC), while actress Julianne Moore visits The View (10 a.m. CST on ABC). In the meantime, check out photos from the A Single Man screening Sunday night. 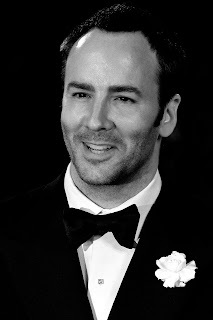 Tom Ford image courtesy of Creative Commons. There's just one day left to take The Vikings Reader Challenge! for a chance to win a $25 gift certificate to purchase Minnesota Vikings merchandise. Just e-mail your results from this 10-question, multiple-choice quiz to sattl014@umn.edu (subject: The Vikings Reader Challenge). All e-mails received by end of day today will be entered into a drawing for a chance to win one of two $25 gift cards to the Minnesota Vikings Locker Room, the official team store (that's ALL e-mails, no matter how you scored). Winners will be notified by Dec. 9th, which leaves plenty of time to shop for the football fan on your holiday gift list. 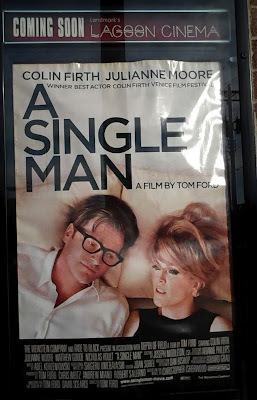 The film A Single Man, starring Colin Firth and Julianne Moore and directed by Tom Ford, will be released in select theaters in Los Angeles, New York and San Francisco one week from today on Dec. 11th. In the meantime, here are a few recent New York Times articles, one featuring Tom Ford ("Friends have recently told him they are surprised to find that someone so seemingly calculated could make such a soulful film.") and one with Colin Firth ("He is one of the best actors of his generation, and this might be a turning point in his career"). You can also follow the #ASingleMan conversation on Twitter and leave a comment on our readers' forum. 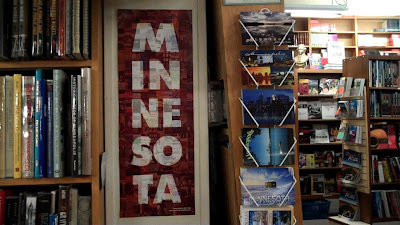 A friend of the Press recently recognized this University of Minnesota Press regional books poster, displayed at beloved indie bookstore Magers & Quinn in Minneapolis. Have you also spotted this poster around town? Or anywhere in Minnesota? 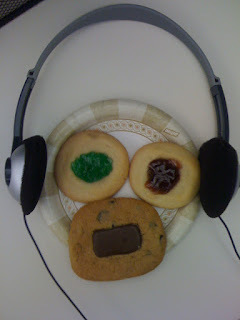 Send your photos to sattl014@umn.edu and we'll post 'em on this blog. Dr. Amy Bass is delivering a lecture on her book, Those About Him Remained Silent: The Battle over W. E. B. 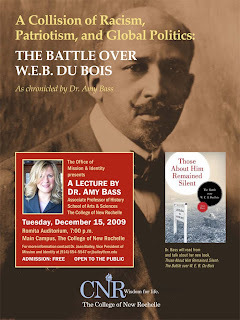 Du Bois on Dec. 15th at The College of New Rochelle in New York. The event is free and open to the public. Click here for details. -Read a recent piece by Bass on the U of M Press blog: Obama, Du Bois and Hitler: "Qui tacet consentire videtur" ("Silence gives consent"). What do you think about the videos? 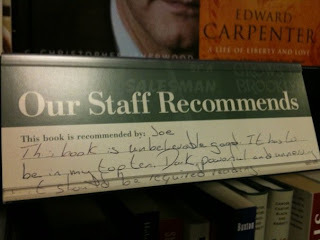 Or the book? Leave us a comment! Get your Spring '10 catalog! The University of Minnesota Press Spring 2010 Catalogs have arrived. The upcoming season will bring you 57 new and updated titles, including the first biography of music legend Johnny Otis; a new novel by Michelle Cliff; a powerful model for ways to change public education; the untold story of how the state of Minnesota came to be; and the 25th anniversary edition of Bill Holm's The Music of Failure. Click here to download a PDF of this 52-page catalog. If you would like a physical copy mailed to you, send your request and mailing address to sattl014@umn.edu.